Includes switch and rear light connection. I am planning to conncet the Edelux II (75V) directly to the battery (52V) of my ebike. Would it be possible to use the SON tail light in that set up (e g by connecting it to the front light)? Yes you can connect the two without an issue. Would you have in colour Black the Edelux 6 volt 75 volt, With Cable & Switch. I would need this one because I have a bike with Bosch Classic and it is uitable for 6 volts supply with strongly limited current (p.ex. Bosch Classic). 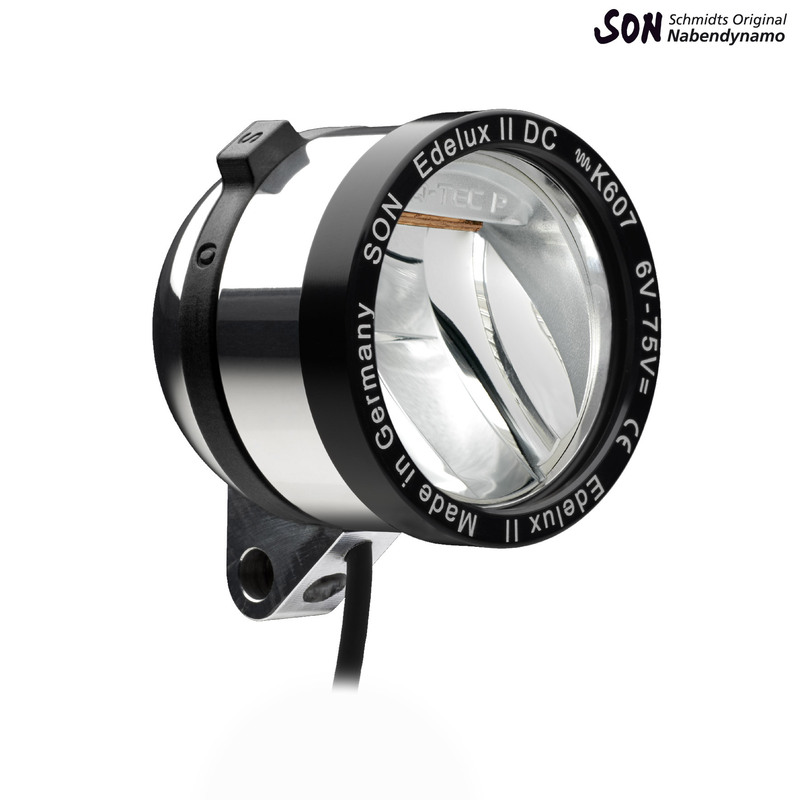 We do indeed sell the lights in black with the switch and cable, these are SJSC part number 35779. The picture shows the light without the switch, but it does have one.